Posted on May 22, 2007	by Linda S.
We stopped in a small town last weekend on our way home from GSs graduation. Stonewall, OK is where I lived as a very small child and visited often in my much younger years. 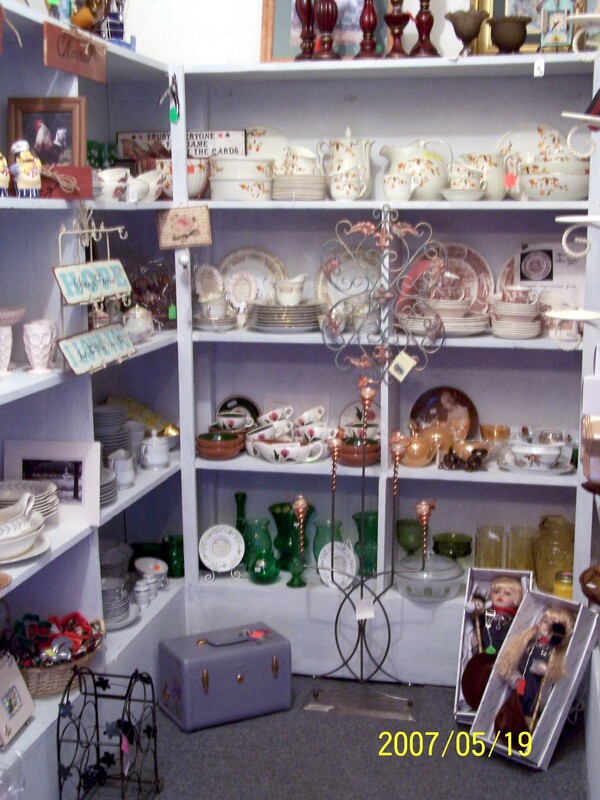 I have to tell you about a great little antique shop and craft mall. We stopped in Stonewall so I could get some pictures of the place where so much of our family history originates. There was in reality not much left to photograph (see this post on my Mish Mash … etc. site)after 55 years, but I wanted to get whatever pictures I could. In the meantime, DH did not want to sit in the car and waste away, so he stepped inside the only store we saw that was open on this part of town. We will be going back on Thursday and taking our friends from Bokchita with us for another visit, perhaps to visit some more with the lovely lady behind the desk that I cannot for the life of me remember her name. 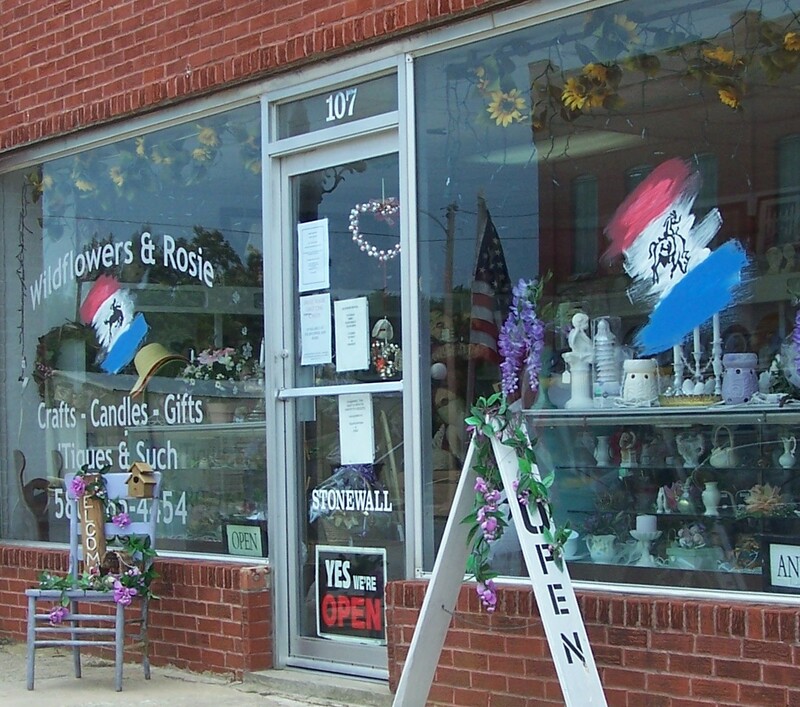 There will be more about Wildflowers & Rosie when we return… In the meantime, if you are ever traveling Highway 3 between Atoka and Ada, OK you might consider a jog of 1/2 mile off the road and visit Stonewall and the lovely ladies at Wildflowers & Rosie. This entry was posted in Antiques, Crafts, Handcraft, Handwork, Personal, Shops. Bookmark the permalink.